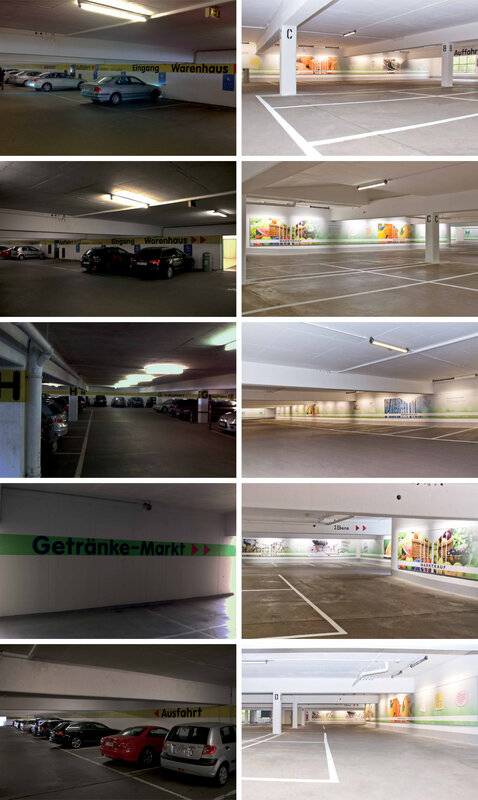 STARWALL -tecnic have been showing in Hannover on an entire plane how unique a car park can be. 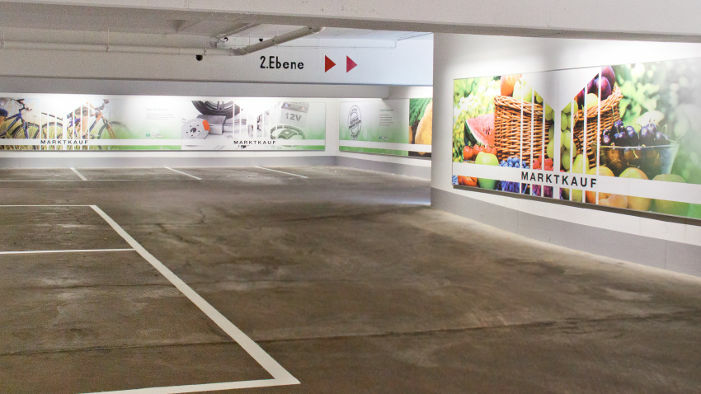 On 4,200 square metres, we show here how to create a world of experience out of a grey and bleak car park, with added value for everyone. 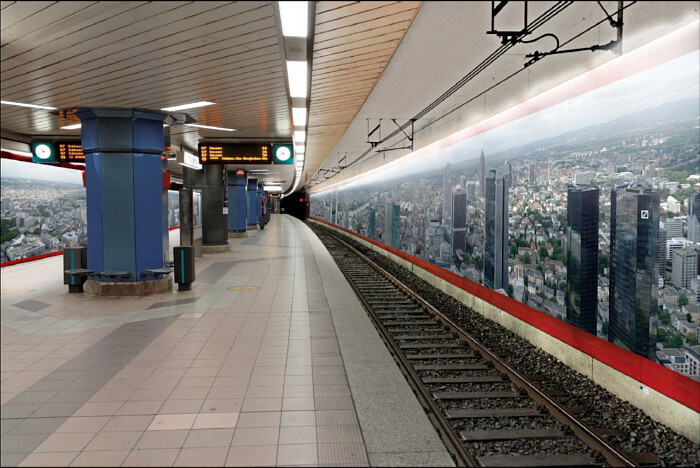 It can especially be seen here how to design advertising so that it truly offers the consumer something. Brighter, friendlier, cleaner and safer. 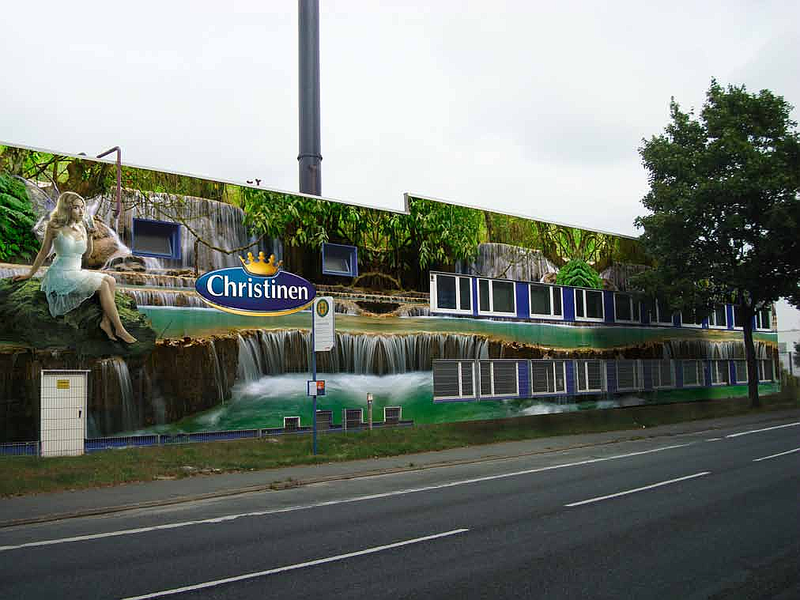 The store manager in Hannover, Mr Senger, says: "Customers come into the store and congratulate us on the uniquely beautiful car park"